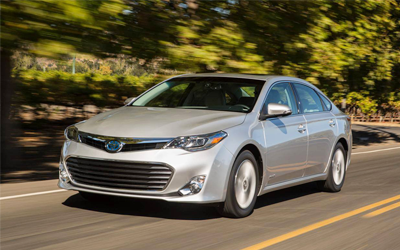 Getting where you need to go has never been easier than with our car service in Merrimack, NH. 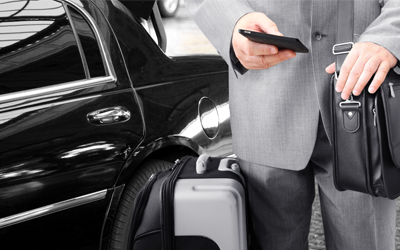 Brookside Transportation provides you with the transportation services you need to be able to travel in style. We assist clients located throughout the Boston and Southern New Hampshire areas, ensuring that everyone in need of a ride can get where they are headed quickly and safely. We are here to assist you with transportation to and from the airport, medical appointments, corporate meetings, sporting events, and nights on the town, to name a few. Our main focus is always on the safety of our customers. Always ready to showcase our dedication to customer service, our transportation company works hard to ensure you enter and leave our vehicle feeling like we have done a good job. We accomplish this goal through our constant drive to be 15 minutes early at every pickup, ensuring you arrive at your location on time. Furthermore, we offer complimentary drinks and snacks in our vehicle as well as the ability to hold your car seats and booster seats until you return at no extra charge. As you may already be well enough aware; most car service companies require a set percentage tip when you use their transportation services. This is not the case when you choose to travel with us. The team behind our transportation company believes that a tip should be a reward for good service and not simply a requirement. The high level of quality we provide to travelers that ride with us helps us feel confident we will not only earn your repeated service but, also a tip as well without adding it to your bill. Transportation, Cancellation, Change, and No Show Policy: For all reservations (excluding flights canceled by the airline) that are not canceled four hours in advance of the scheduled pick up time, full charges including gratuity will be charged. This includes “No Shows.” To cancel rides or change times with less than 24 hours’ notice, please do so by calling 857.313.0729. Other rides may be cancelled via email Richard.Jakaus@Gmail.com Rates before service are only an initial estimate of the cost of services reserved. Wait time and additional services may change the final price. Child Safety Seats: Child safety seats whether provided by Brookside Transportation or the customer must be installed by the customer. Lost or Misplaced Items: Please note that Brookside Transportation assumes no liability for any lost or misplaced personal property or any other items left in any vehicle. Smoking/Illegal Substances: Smoking is not allowed in any of our vehicles. No possession, sale, or consumption of any type of narcotics or illegal drugs is permitted. Violations will result in immediate termination of contract and services. All money paid in advance will be forfeited, and the remaining balance will be charged. Damages: Client and his/her guests are responsible for any damage to the interior of the vehicle. This includes but is not limited to: gum, wine and alcohol spillage, and vomiting. Clean up cost will be charged to the client's credit card. Reservations: Reservations are not considered active until a confirmation is sent. Additional Charges: Tolls, parking and wait time. "Rich runs a great service! Best prices and a wonderful experience all around! He is flexible, kind, professional, personable and went above and beyond and actually picked up lunch for our family when our flight was delayed from morning arrival to afternoon arrival! We strongly recommend Brookside Transportation to everyone! Thank you so much again, Rich! We cannot say enough good things! :-)"
We are a local car service company based in Merrimack, NH, with rides to Boston daily. Our company is licensed to work out of Logan International Airport in Boston as well as all of the other local airports, which allows us to provide the high-quality transportation services you need when you are leaving or coming back from a trip. In just two years, our company has grown to include more than 440 repeat customers thanks to our dependable and safe transportation services. Whether you need a ride to the airport, a medical appointment, a concert, a sports game, or a casino, our team is there to assist you. Not only that, but we are also capable of providing point-to-point transportation so you can arrive at any destination on your itinerary without hassle. The owner of our company, Rich Jakaus, lives in Merrimack and grew up in South Boston. He has more than 30 years of experience without a single ticket or accident. Rich has also held positions with the MBTA, Boston Coach, and OTR driving, as well as previously owning the South Boston Driving Academy. He decided to start Brookside Transportation because he enjoys working with people and making sure that every ride is a pleasant experience. The people living in the southern part of our state are fortunate to have many great car services available to them. With that in mind, our car service company would like to take a moment to share with you what we do to stand out from your other transportation options. The biggest difference we can bring to the table is our commitment to customer service. We customize our service to your ideas and requests, so you feel completely satisfied with the quality of service we deliver. A tip is not expected or automatic and is given by choice if you are happy with our services. There are no hidden prices. We are open 24 hours, and the prices are the same if you are picked up at 2:30 am or 2:30 pm. We offer complimentary waters and snacks for the ride. We offer custom corporate or family tours of Boston. In the winter, we have heated blankets available. Thank you for your interest in our car service. Contact us when you are interested in booking transportation services throughout Southern New Hampshire, including Merrimack, as well as to and from Boston, Massachusetts.